Dil Se..: Show Me Your Smoothie! After an edition of Show Me Your WholeGrains, I am here with another edition! It is going to be smoothies this time! With the summer creeping in, in some parts of the world and summer at its peak in some others, it is difficult slaving inside the kitchen preparing meals. Smoothies and juices are a great way to make a meal with all those nutrients in there and can be whipped up in a jiffy. Take out your blenders and mixers and start whipping up your favorite smoothie/juice/shakes/summer coolers with your favorite seasonal fruits or whatever you may like. 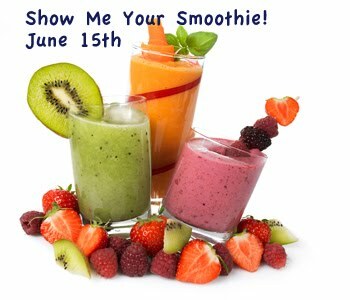 Some guidelines for the event..
Post a smoothie/juice/shake/drink recipe between May7th and June 15th. You could send in a maximum of five entries. If you have any entries already posted in your archive, please repost the link during the event duration. Link back to this announcement page. Subject: Show me your smoothie! Lovely theme.. I am definately in Divya with some entries..
Super theme Divya..Will you send you my entries..
Beautiful event again, will send my entries..
Nice event.Will surely send in my entries. Super duper theme for your event. Count me in .....All the best for your event!!! wow a very nice theme .... Count me in ..
nice event, divya :-) will send in my entry. nice event, divya. will send in my entry. Couldn't send u a recipe for whole grain :( missed it .. but surely send one for this ! count me in divya..wil surely send one..love ur homemade panner..good try..betn i also posted masala paneer 2 my blog..do visit..
Shall definitely send my entries..
First time in your blog nice event. Would like to be part and will send in an email. Can you advise me how to go about it? I know today is the last day of adding entries, I have sent you an email with all the entries.